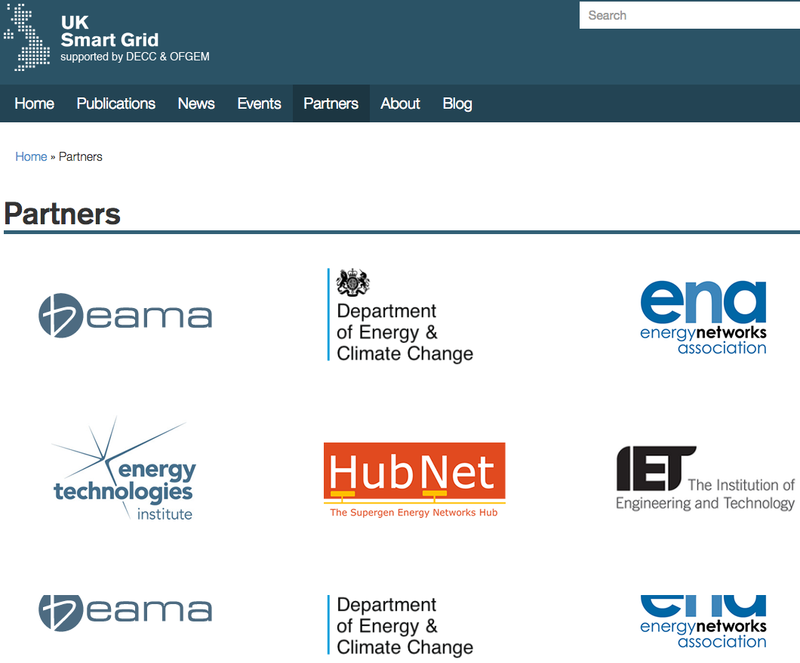 The UK Smart Grid Forum is made up of nine partners, including DECC, Ofgem and the Energy Networks Association. The Forum wanted a single home online where all their work can be showcased by topic, without having to publish content twice: on their own website, and on the Forum website. We built a website for the Forum and provided representatives from each partner with a simple bookmarking tool to install in their browsers. 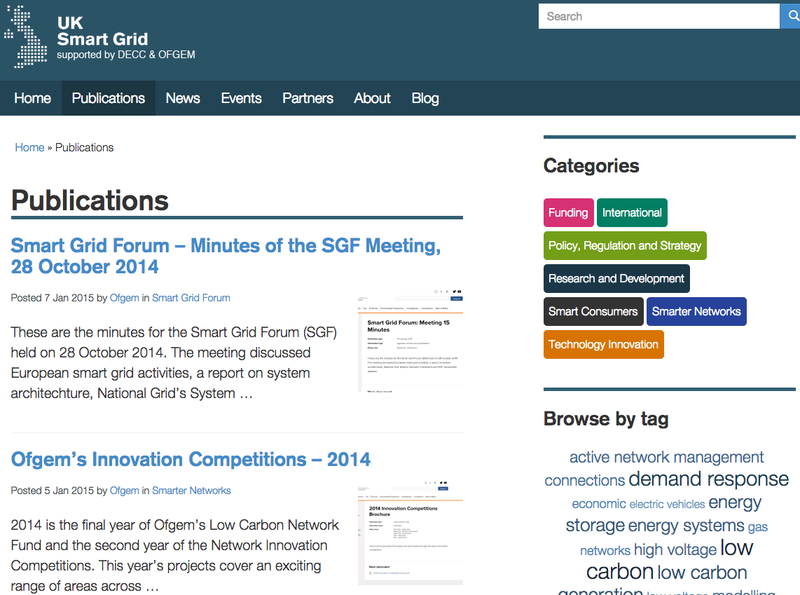 Every time one of the partners publishes a relevant news story, press release, publication or event on their own website, they can choose to add it to the Forum website as well. 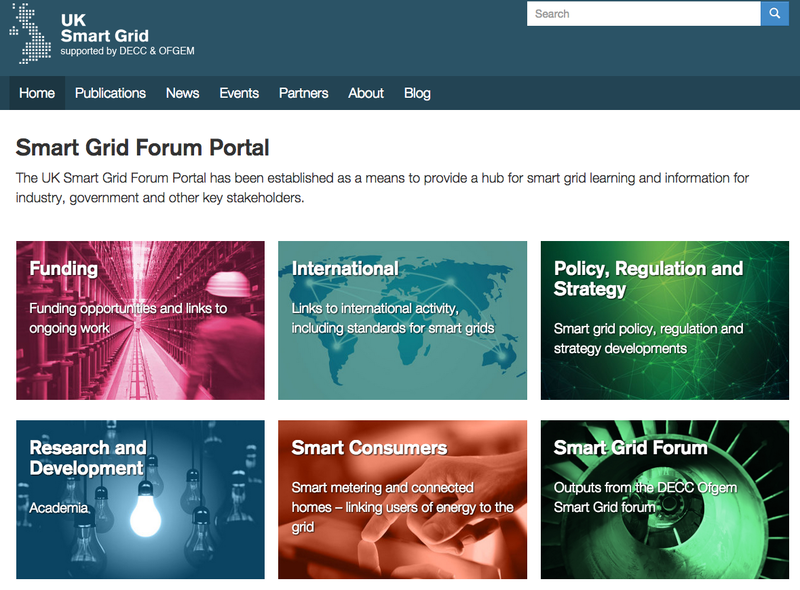 Our bookmarking tool means that it is easy for partners to publish their information on the Forum website, with an image, headline, excerpt and link to the original information source on their own website. No specialist training is required, and it takes minutes to update the website. We delivered a design and structure that balances the needs of Forum members, and makes it easy for their audience to find the content that is relevant to them.